Stella Hues collection by designer Stella Maze, fuses authentic Italian tradition with the exotic luxuries of the Virgin Islands and a nod to classic British influence. Inspired by the mystique, translucent blues of the Caribbean waters, each shoe is finished with patented hues of blue on the inner and outer sole. Handcrafted in Italy, the label represents: class, edge and sophistication for those who fancy quality. Stella Hues’ current heel collection features various shoe designs such as over-the-knee boots to pumps. Each design has a unique pattern, are brightly colored, or can even be custom designed making them different from the rest. 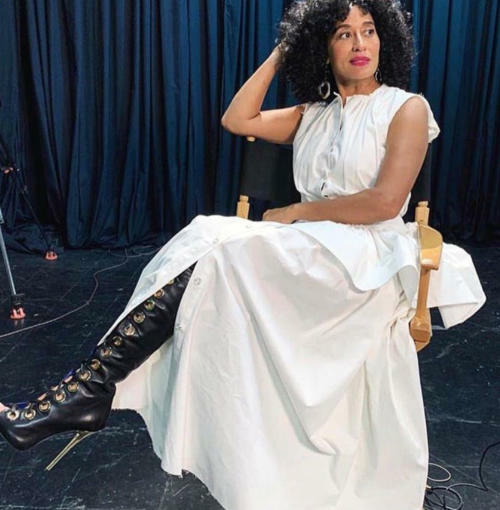 The heels have been seen worn by various celebrities such as Tracee Ellis Ross, Laverne Cox, Drew Sidora, and Leela James.